We are aware - all too well aware, actually - that we haven't updated this blog for ages, and we're really sorry about that. It's not because things have been quiet at the Edge of the Universe towers - quite the opposite, in fact. Things have been going fantastically well over the past year and a half, and we've been so busy that, shamefully, we've not had time to update the blog. However, you can get a sense of what we've been up to by checking out our Facebook, Twitter and Instagram accounts. We are, finally, in the process of overhauling this website, adding lots of new, interesting and engaging (we hope!) information and news. We've got loads of exciting projects in the pipeline, and we can't wait to share them with you! We're aiming to get this work completed by spring / summer 2015. 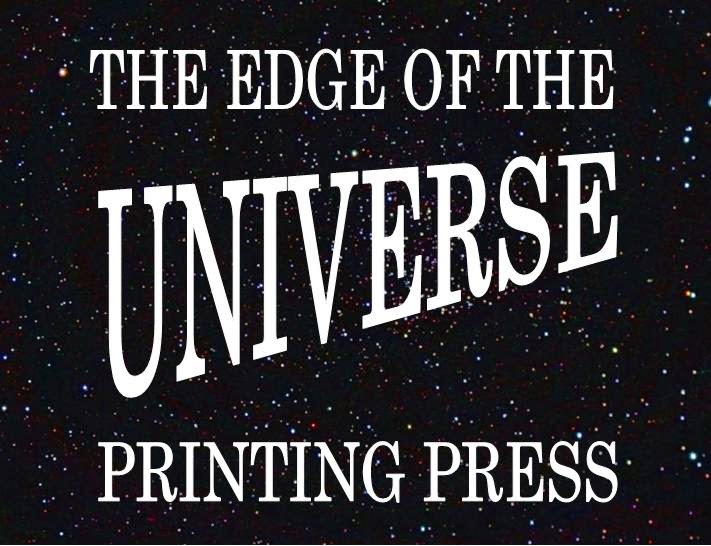 In the meantime, the best way to stay in touch with us is by emailing us at edgeoftheuniverseprintingpress@gmail.com - or by hitting us up on social media.